After breakfast, we’re shuttled from our hotel to our minibus for an 8:30 start. As usual, there’s a lot to see and talk about, goats being herded, flightless ducks eating the remnants of rice stalks, which they’ll help to fertilize with their droppings, Jay brings topics alive by using articles from today’s newspaper. Local boys have been injured in bull turning, grasping bulls by the horns and turning them, a rather dangerous sport. Supplementing his discussion yesterday of free color TVs for poor people, Jay points to a photo of a leader from a nearby state presenting a free mixer/blender to a poor person in fulfillment of a campaign promise. He also shows us an article about a chair in Indian studies having been created at the University of Chicago in the name of a Hindu Indian Swami who had lectured there 150 years ago, and been one of India’s first cultural ambassadors. Jay also elaborated on the obsession of Tamil people (not all Indians) with movies. Poor people will sell blood to get money to buy movie tickets, every house has pictures of movie stars, MGR, leader of Tamil, and a huge movie star had the largest ever funeral, more people attended than for Ghandi, lines formed for miles to donate kidney to him, and their were many suicides on his death. His successor in office is one of his former first ladies in films. People will do anything to see a movie, Getting in line at 6AM to get a ticket for a 10 PM show. Movies are the number one source of entertainment, feeding the dreams everyone at lower levels has for happy lives. We drive on to Thanjavur, the capitol of the Great Chola Empire, which ruled from the tenth through the twelfth centuries, and extended over all of South India, and as far as Sri Lanka and even Bali. 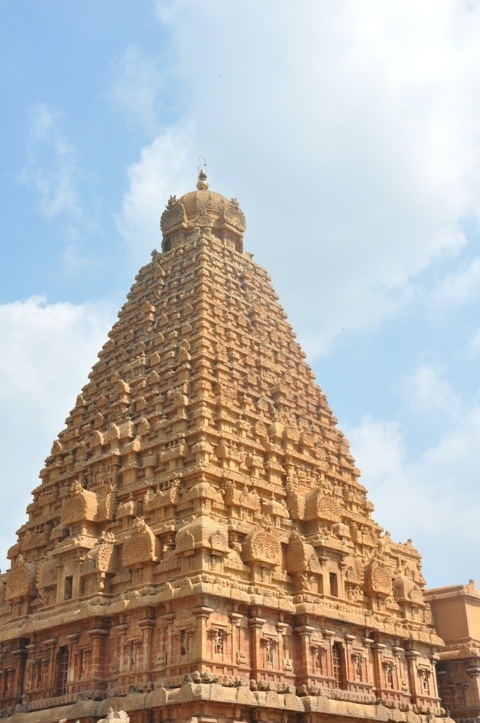 The Chola kings who were great patrons of the arts built most of the 93 temples at Thanjavur, of which the Brihadisvara Temple is the showpiece. While they lavished their wealth on the temples, they also encouraged the belief in the divine right of kings, and the practice of donating a part of one’s wealth to the temple for spiritual gain. The Brihadisvara Temple, also known as the “Big Temple”, was built between 985 and 1012 AD and is a World Heritage monument. It is a magnificent structure with a 14- story high vimana, a towered sanctuary that houses the main deity. Built mainly of granite, the temple has superb inscriptions and sculptures of Shiva, his consort Durga and Vishnu. 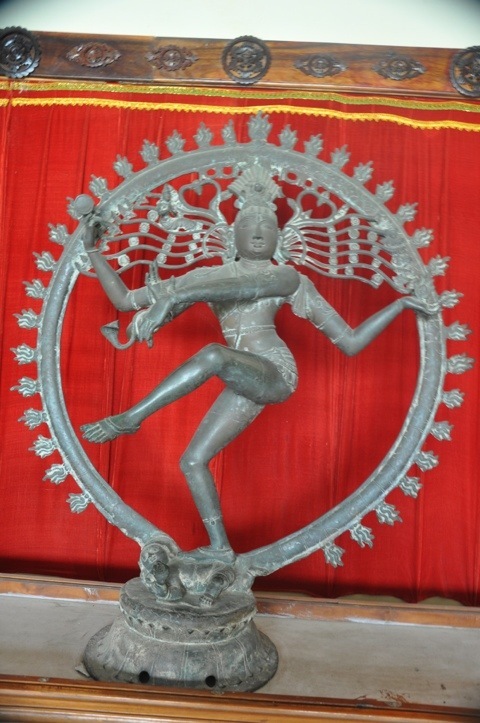 After leaving Birhadisvara, we drive to a former palace that now houses an excellent museum which has an exceptional collection of bronzes, many of them of a dancing Lord Shiva, surrounded by a ring of fire. After a very good lunch at a nearby hotel restaurant, we drive approximately three hours to Kanadukathan in the Chettinad region, stopping at an Ayyanar temple located in a forest. This temple is a mix of craft, myths and rituals and have local deities which are considered to be village guardians. 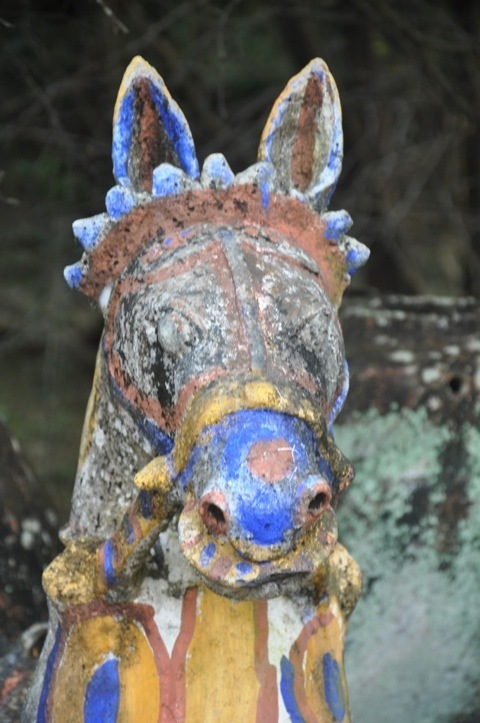 In Hinduism, symbolism plays an important role, and to ensure that the deity can reach them speedily in times of need, devotees bring terra cotta horses as offerings. 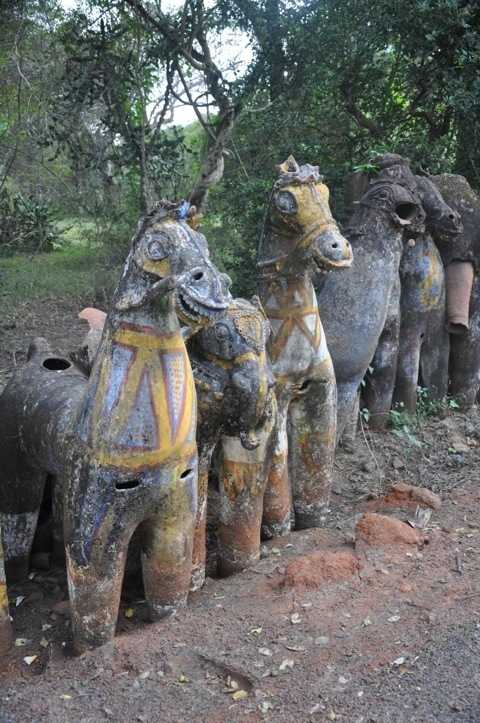 expired domain names Walking up the forest path to the shrine, we pass thousands of these horses, produced over hundreds of years for an annual festival, many of which are in an advanced state of disrepair. Behind the main shrine is the poignant sight of hundreds of terra cotta dolls, brought as offerings by women who are unable to have children. We arrive at Hotel Visalam, a marvelous old Chettiar mansion that has been refurbished and retains much of its original teak woodwork from Myanmar as well as its former furnishings. The Chettiars were highly successful business men who achieved wealth through money lending. We’re given a tour of the beautiful house and grounds, then shown to our large, high-ceiling, marble-floored suite. After a swim in the large pool, which is large enough for me to do laps, we clean up, and blog. Carol and I meet Jay in the lobby. At our request, he’s brought a map of South India and shows us the route we’ve taken thus far and identifies for us the territories ruled by various rulers over the centuries. We meet Steve and Karen for dinner on the second floor balcony on yet another perfect evening of weather, then retire.